In just a blink of the eye, Ramadan is already here and I have gotten most of my Baju Raya for myself and my kids… and well, with pretty new outfits, we also need pretty gorgeous make up as well as nice hair care to make our face and hair look great, too right…. 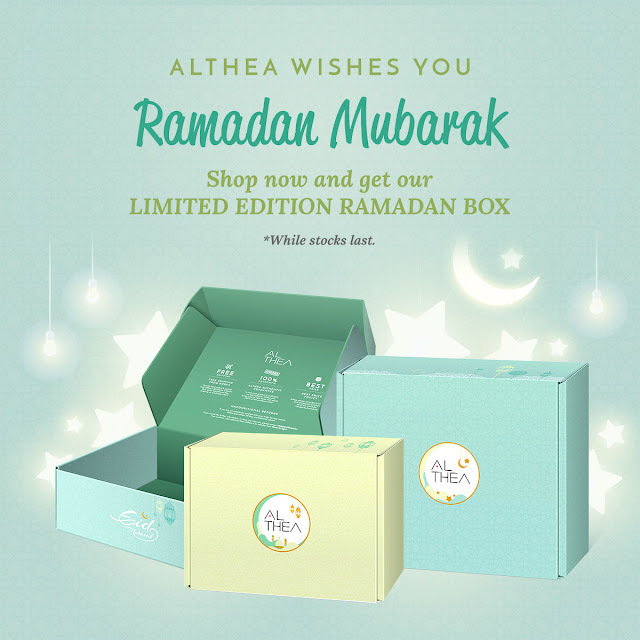 Naturally I cannot wait to receive my Althea's limited edition box for Raya as well to add to my collection as Althea’s festive boxes are some of the most awesome……everrr….. They are great for my stationeries, my knick knacks, costume jewellery and also make up…. Loving these boxes plenty….